The tradition Charles Bryant started more than a century ago is about more than heating and cooling. It’s about earning the trust of customers across the country by taking care of their indoor comfort needs. Our family of hard-working products includes a wide range from furnaces to air conditioners and everything in between. And those products are unmatched when it comes to quality, durability and reliability. In fact, from our early gas-fired boilers to today’s home comfort technology, our standards have remained the same: dependable, hard working comfort. Our products go through rigorous testing beyond industry standards. Outside the lab, our products are installed by actual Bryant® dealers and tested in real-world applications, where Bryant engineers gather insight as to how to continuously improve. 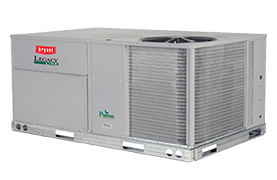 There are many types of systems that work as central systems, from Traditional Split Systems (having both indoor and outdoor components) to Packaged Product Systems (having one combined outdoor component for heating and cooling). Packaged products include dual fuel systems and all electric packaged options. Ductless Systems are a flexible option that does not require duct work and is ideal for heating and cooling specific rooms or areas of your home. These systems operate quietly and are available in a variety of designs that can be installed almost anywhere. 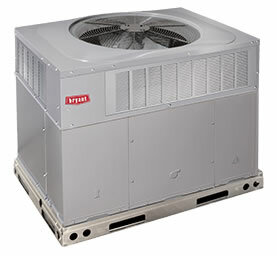 There is a Bryant® Ductless system to fit practically any heating and cooling need.